They say that Eyes are the focal feature of the face- So surely they deserve a little TLC, right?! Semi permanent Eyeliner is the perfect answer to this. Whether it’s a subtle stroke of liner to enhance the size of the eye, a bold and daring flick to match your desk-to-dancefloor makeup style, or even a touch of colour to exaggerate the length of your eyelashes- we’ve got you covered! This particular method is dedicated to framing your eye in whichever style you desire, and the best part is- you will no longer have the hassle of searching through countless makeup counters for the longest lasting eyeliner, only to wipe away that mid-afternoon Panda eye later on. Shower proof, Gym proof, Sleep proof- Wakeup with the perfect eyeliner everyday! The first part of the process is a consultation. This is normally done as part of your initial treatment, but can be done separately if you prefer. A member of the WUWMU team will talk with you in great detail about the whole process, from aftercare advice and colour choices, right through to the style of liner you are wishing to achieve and what we might recommend to you. This is very much a two-way conversation. We listen, we respond, we advise. Once we have an idea of the style you are aiming for, we draw the eyeliner on with a makeup pencil to create a templated shape. 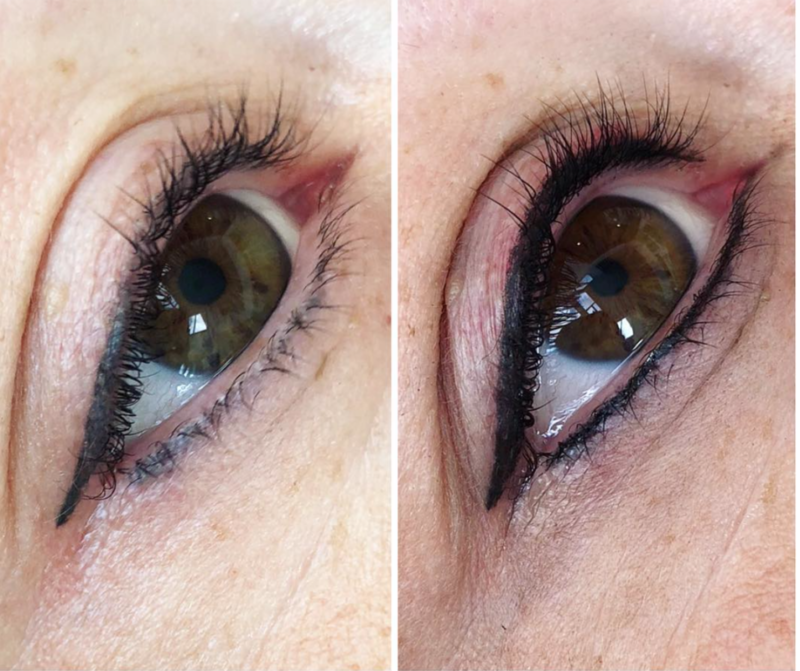 This can be drawn on and adjusted as many times necessary- we will never begin the Semi Permanent process until you are completely happy with how your liner is going to look. Using a specialist facial tattooing machine, which works at a much lower frequency than a standard tattoo machine, we gently apply pigment to the skin using very fine needles to stencil over and fill the templated shape we created during your consultation. The sensation is that of a gentle electric toothbrush being held against your skin – you feel the vibrations but you should not feel any discomfort. We will always work with you at this stage to ensure your upmost comfort, giving you breaks throughout if you feel you need them. The process normally takes about one hour, but it varies from person to person depending on your individual requirements. 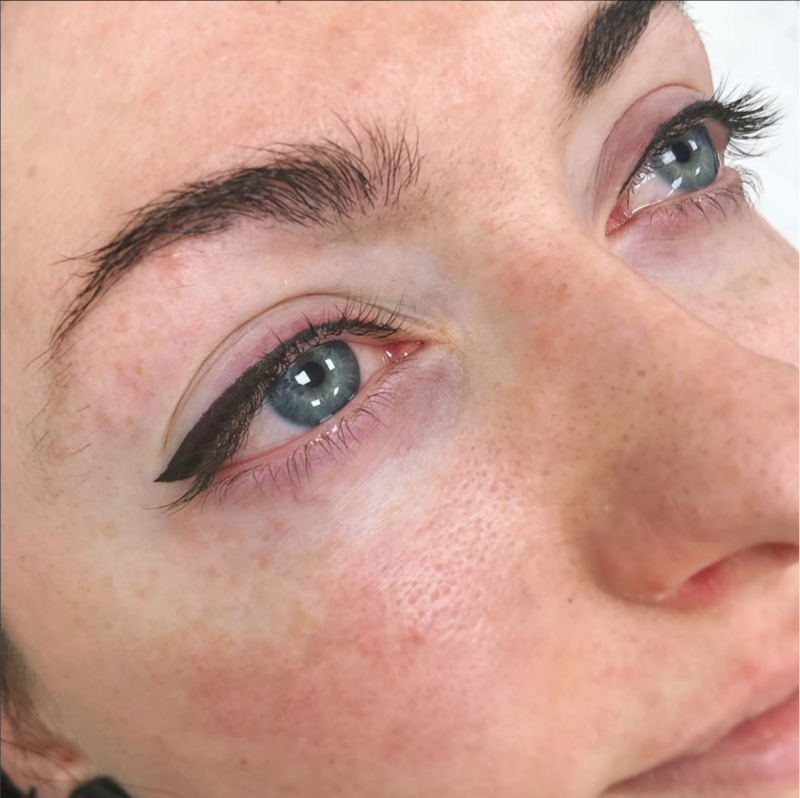 Immediately after the eyeliner treatment, you should expect the area to look 40-50% darker than the colour you have chosen in consultation, but don’t panic- this will start to fade after 3-4 days once the healing process begins! A second appointment is needed 6-10 weeks after your initial treatment. This is usually a 30-60 minute appointment to add more pigment to the eye area. You will find that as the liner starts to heal, some areas may appear patchy due to the skin not “holding” the ink as well. This is completely normal, and although everyone heals differently, its the reason we always book the “Retouch” appointment- so we can add extra colour to the areas needed! They say that Eyes are the window to the soul- so surely they should be framed perfectly? Everyone can agree that Eyes are the focal feature of the face, right? So surely they deserve a little TLC! What if we told you there was a way to avoid Panda eyes, uneven cat-flicks and mid-afternoon flakey eye makeup on your cheeks? How long does Semi Permanent Eyeliner last? We also recommend that you follow a top up regime every 6-12 months to maintain the sharpest result possible. What style Eyeliner can I have? Any style you like! 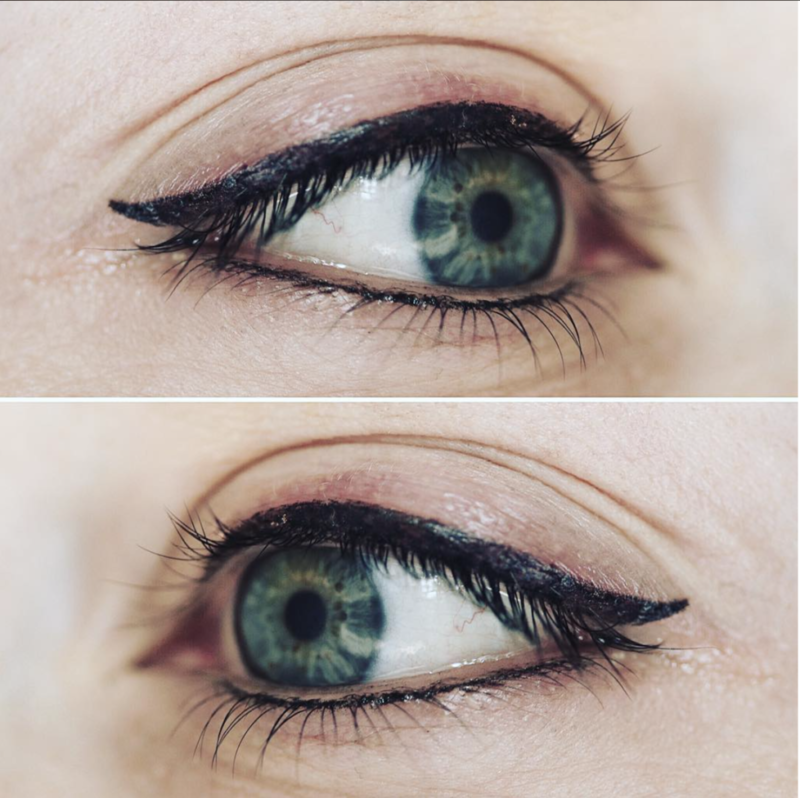 During your consultation, we will discuss all of your wishes and requirements to create the eyeliner style you most desire, whether it be bold, subtle, winged or just a gentle lash enhancement.